Twist... that's right -- just Twist. We didn't know how to define it. Is it a Nightclub, Sports Bar or a Gastropub? Well, it's a little of everything. 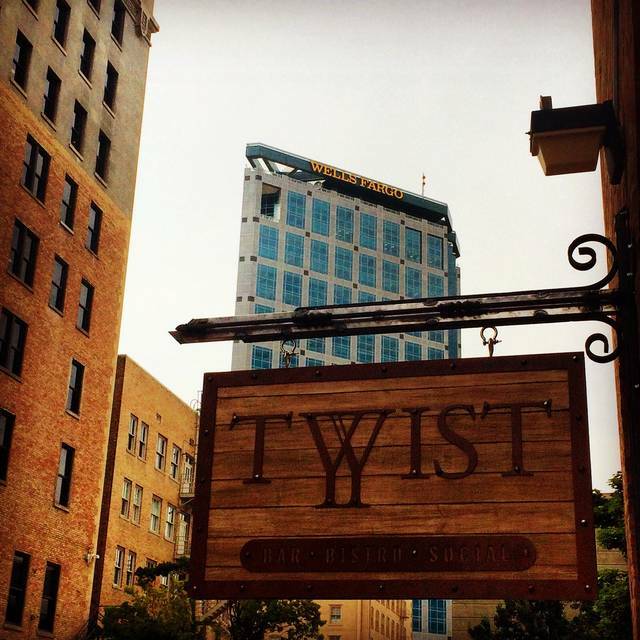 Located in the heart of downtown, Twist is the latest offering in the vibrant nightlife scene of Salt Lake City. Just off Main Street and 400 S. at Exchange Place, Twist has managed to turn a historic boiler-room building into one of the most iconic bars you will ever see. 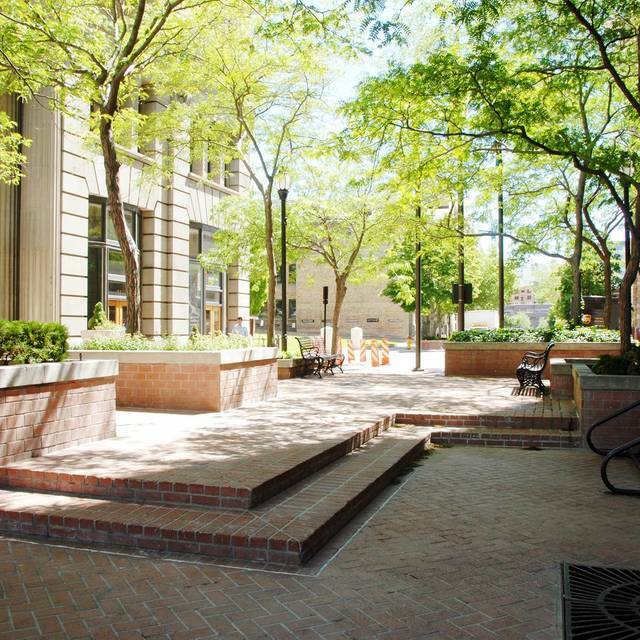 If the character of the iron-works/industrial isn't enough, you can enjoy Twists' huge outdoor patio right on the cul-de-sac of Exchange Place. Come in for some great food for lunch. 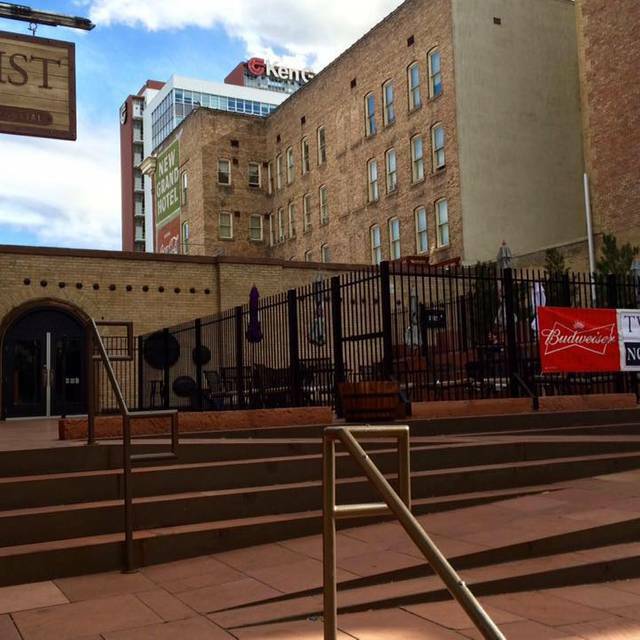 Relax on the patio for a drink or two, and check out our tasty dinner menu while enjoying some live music. Twist is a 21 and over establishment. Classic gin or vodka, served up with a twist or dirty with olives and brine. Many varieties are available, ask your server! Keep it simple or go for Cadillac, top shelf, melon, or even blue! Hop, Skip, and Go Naked! A tart blend of pink grapefruit juice and vodka. Hint: Salty Dog? Beehive Reserve gin tumbled with Campari and sweet vermouth. Careful, it bites back! Porter's Fire liqueur, a dash of OJ, and premium ginger beer. Mule the Utah way! Jack Daniel's whiskey, triple sec, sour, and lemonlime. A summertime must! Not too impressed with this place. The server acted like she was either drunk or high, the food was decent, the noise level was really loud and they were playing some sort of dark hip-hop music I’ve never heard of. We had a great time and the ambience was nice and the service was fun. We really liked the scene only major problem was that it took a long time to get the food. The order was served in piece meal as some people were served quickly and other orders took a long time and some items were served almost when we were ready to go. The place is huge and on a weekday only the top part was used. The food was great, and the waitress was very attentive and polite. Great food! Great entertainment! Great atmosphere! Unique place, good food, friendly staff, cold beer. The only negative is it was hot in the restaurant. I will definitely go back. Just ok. Food ok. Staff was nice but nothing special here. We sat on the patio. They immediately brought my dog a bowl of water. Our appetizer was good and halibut fish and chips was very good. Good raspberry Mojitos. Food was so good and drinks were yummy and very well priced. Great place! Food was fantastic and our waitress was very friendly and very attentive. Burger was cooked perfectly to my medium rare liking. Would definitely return. I am not sure what the target audience is for this place- but it misses on food, service, décor. Cool atmosphere, great service, fun food selection, great prices! The bar atmosphere is pretty good. The food is marginal at best. If you’re looking for a decent bar I would say come to this joint. However if you’re looking for good food probably should look somewhere else. It was really slow around 645 pm but got busier. It was nice. Showed up on time and was told to take a seat anywhere. I did so, then waited. And waited. And waited. No one on staff came to my table or any of the others nearby the whole time. After 25 minutes, I left. I’m in no hurry to return. Superb ingredients badly prepared. Waitstaff was super friendly and competent. Also VERY dog-friendly out on the patio. They tried to make fresh and original dishes, but everything we had fell way short of the mark. Roasted cauliflower was completely bland; pork skewers were delicious, but the baby bok choy was covered Ina miso garlic sauce so salty I could barely eat it. Brussels Sprouts were hard and had not been trimmed of their tough cores. The Kitchen needs to up their game to match the level of the service and ambience. It's a bar, not a restaurant. Kind of a dive bar. The food is good, not great. It's loud and dark. The cheeseburger and fries was very good. The price and service was outstanding. Decided to try somewhere new with friends and the bartenders (Chris &a Alan) were super nice and Chris if you ask he will make a drink based on your personality it was AWESOME!!! And Alan is basically like a therapist for my friend that just broke up with her boyfriend. Not to mention the food was great definitely try the pretzel freaking awesome! This is a bar (and I'm sure a good one) but not a Gastropub or Bar & Grill. Great service but food is just OK, and in daylight - the décor and ambience is like a bit of a hangover. Pre-Jazz dinner, so I was there fairly early. Good and interesting food, nice ambience. I'm sure it's a lot of fun when it's later and there are more people. Not what I was expecting, since they advertise themselves on Instagram (great photography) as a "bistro" (and bar) and was expecting a little classier place than what it was. We ordered a dish and it was nothing like it was described. The waitress was excellent though and took care of us well. This is a very casual setting; if you wear anything other than jeans and flip-flops, you're really overdressed. The location is not great--there's only street parking, and the place isn't easy to find as it's tucked away. The walk to Twist is a little "dodgy." We didn't love our experience at Twist. Food was good, but the service was weak. Our server seem annoyed and inconvenienced to help us. I'm sure it is a great fun bar as a hangout, but wasn't what we were looking for casual place to grab dinner. Went on a Monday for lunch. Was quite, few people. Had good food and service. Our waiter, DJ, was so funny & attentive! Food was delicious and there was a very unique atmosphere! First time experience for my wife and me. Build out is very cool. Service was very good and friendly. Food was good. Plan to go again but more for sports events and casual dining. Our server DJ was excellent!! Thank you for first rate service! Loved the music, beer selection was nice with above average bar food. We went to see the Dusty Boxcars and will definitely return with a group of friends. The service was really friendly. My daughter had no idea what she wanted to drink and the manager really took the time to talk to her to figure out what would be good. The scallops were imaginative, tasty, and cooked gently. Everyone enjoyed their food and had a great time. Spent NYE eating dinner at Twist with a group of friends. Food and drinks were excellent. Casual, bar environment. I will go back. Twist has some of the best burgers! Service has always been great! Drinks are also great. 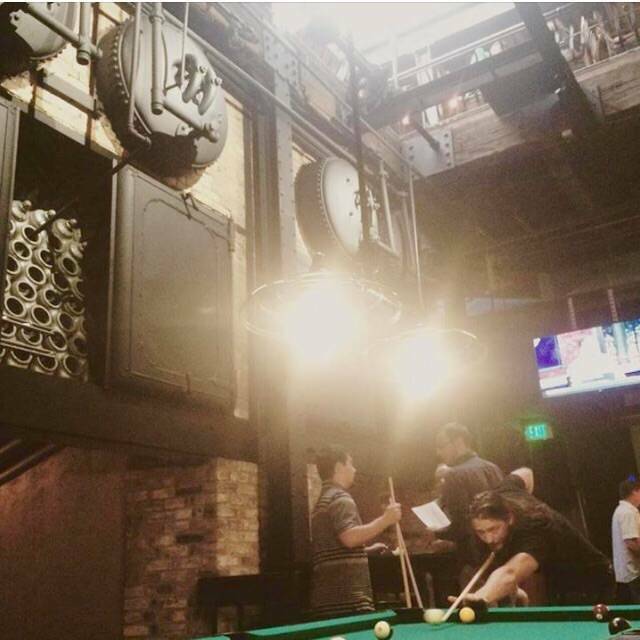 It's a fun place to hang out or even for just a quick drink! Our server JD was very entertaining. He made our night so much fun. The food was not the best, but the drinks and atmosphere were great. This is a dive bar with food. No idea why it is on Open Table. Don't go ... Unless you're looking for a dive bar with big tv's and junk food. Great place to hang out and have a social gathering with! I recommend it to anyone!